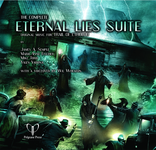 James Semple and his team have mastered over 60 minutes of original, fully orchestrated music of amazing quality for Trail of Cthulhu. Total playing time: ca. 60 min.